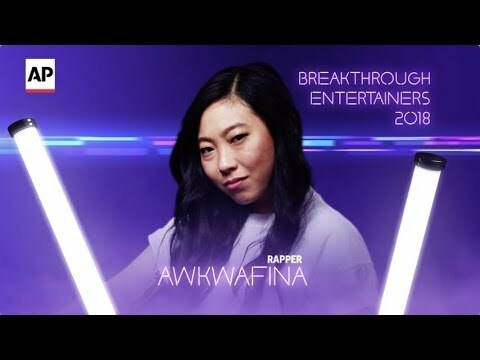 LOS ANGELES (AP) — Awkwafina became a household name this summer, stealing scenes from the likes of Cate Blanchett and Sandra Bullock in the heist movie "Ocean's 8" and then as a standout in the cultural phenomenon that was "Crazy Rich Asians." But even considering her blockbuster summer, the 29-year-old New York native, born Nora Lum, whose dad wanted her to be an air traffic controller, still feels pretty normal. 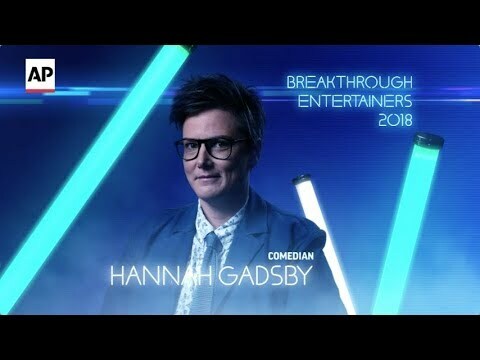 LOS ANGELES (AP) — Hannah Gadsby says she knows it's meant as a compliment to be chosen as one of the year's Breakthrough Entertainers by The Associated Press. But, as with many things, the Australian stand-up comic and actress sees the honor from a variety of perspectives. 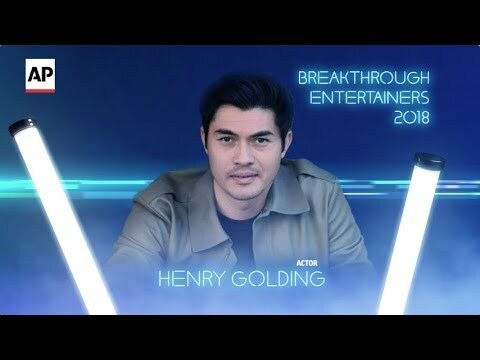 LOS ANGELES (AP) — Even though Henry Golding garnered instant fame from starring in the smash hit "Crazy Rich Asians," the British-Malaysian actor isn't sure if he'll ever eclipse his meteoric success in the box-office hit. "I don't know how I'm going to top this year. It's all downhill from here," he told The Associated Press recently, with a twinge of sarcasm. LOS ANGELES (AP) — Now more than ever, "Queen Sugar" actress Bianca Lawson is thankful to work on a nurturing, female-led set helmed by Ava DuVernay and Oprah Winfrey. "It's a gift because now you're hearing about all the stories," said Lawson, referencing the barrage of sexual harassment allegations rocking the entertainment industry. "It's like, wow, it's this prevalent? It makes you even more grateful to be on a set where you feel so safe, so taken care of." NEW YORK (AP) — Some people have breakout years. Director Patty Jenkins had one with "Monster" in 2003, a movie that earned Charlize Theron a best actress Academy Award. NEW YORK (AP) — Yes, SZA is easily in the running for best new act of 2017. But her uber-successful year really puts her in the running for female artist of the year: She's had multiple songs chart in the Top 40 in a year when male acts overwhelming dominated, and she's the most nominated woman at the upcoming Grammy Awards with five. "It's wild. It's awesome. ... Like, I'm in awe. Like, in full blown awe," said SZA, competing for honors like best new artist and best urban contemporary album. For the first time, The Associated Press is spotlighting key entertainers who had that breakthrough moment in 2017. 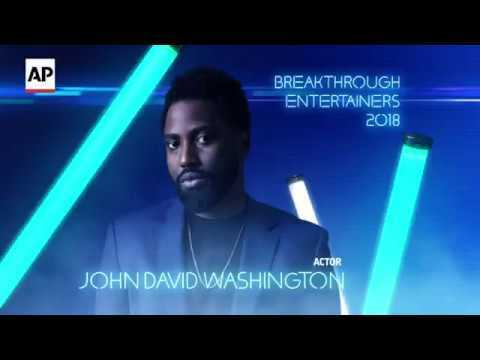 The Breakthrough Entertainers includes relative newcomers, such as actors Beanie Feldstein, Millicent Simmonds, Daniel Kayuula, Brooklynn Prince and singer-songwriter SZA. But it also includes established names _ director Patty Jenkins, actress Bianca Lawson and actor-writer Kumail Nanjiani _ who had a transformative year that took them to another level. 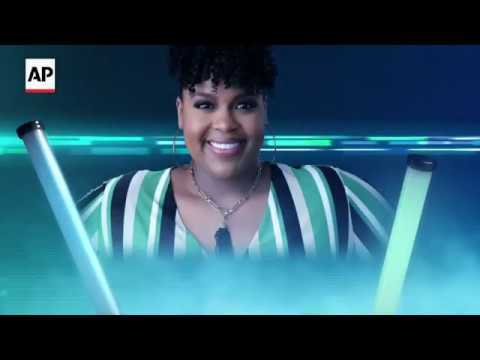 LOS ANGELES (AP) — Natasha Rothwell claims she is shy in real life, but her scene-stealing supporting roles in HBO's hit show "Insecure" and the film "Love, Simon" have proven otherwise. Rothwell's outspoken TV character, Kelli, shines with witty one-liners and brash behavior, sometimes even more than "Insecure" series' star Issa Rae. 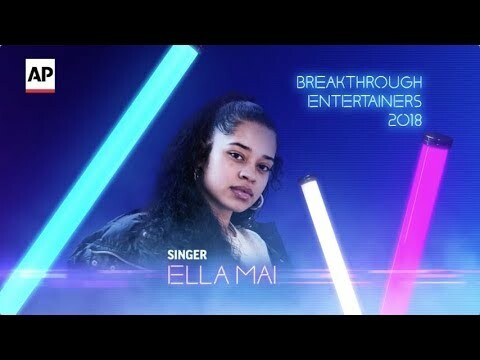 NEW YORK (AP) — Singer Ella Mai appreciates how much "Boo'd Up" has changed her life and jumpstarted her music career, but she wants to make one thing clear: "I know how to make songs. I'm not the 'Boo'd Up' girl." LOS ANGELES (AP) — Elsie Fisher was about to give up on acting right before Bo Burnham's coming-of-age project "Eighth Grade" came on her radar, and it's a good thing she decided to take one last chance. LOS ANGELES (AP) — "The Big Sick" star Kumail Nanjiani is heading into awards season with a mix of fear and excitement. After grossing nearly $43 million at the box office, the charming crowd-pleaser picked up two Film Independent Spirit Award nominations and is considered a front-runner for Academy Award nods. "It's very scary. It's not something that we had really considered at all," said Nanjiani of his film's Oscar buzz. "It's cool to be in the conversation with so many great movies." NEW YORK (AP) — When Daniel Kaluuya read Jordan Peele's script for "Get Out," he had one question: "Are you allowed to make films like this?" NEW YORK (AP) — Beanie Feldstein was a Broadway buff since she was a kid. She was obsessed with musicals, hung with the "theater crowd" in high school and spent years watching shows on the Great White Way. So when she was cast opposite Bette Midler in the revival of "Hello, Dolly," she had already hit a career milestone. LOS ANGELES (AP) — Adjusting to life in the spotlight has been quite a transition for Hollywood newcomer Millicent Simmonds. The 14-year-old deaf actress, who earned rave reviews for her breakout role in Todd Haynes' "Wonderstruck," said being away from her family in Utah has been one of the toughest challenges. "It's a new world for somebody who's going through this, so you have to get used to both things that happen to you — both the good and the bad," said Simmonds during a recent interview. NEW YORK (AP) — Seven-year-old Brooklynn Prince is sitting in a darkened TV studio with lights, cameras and control panels all around her. "Mission to Mars, mission to Mars," she says. "This is Apollo."